When your home or business has been hit by a flood and has water damage, you need to consult with experts fast. If you live in Downriver, Michigan, the best place to call is Downriver Cleanup & Restoration. We offer free estimates, 24/7, seven days a week. That way you can take a look at what needs to be done and work with us on an affordable pricing or financing plan. Your main objective is to clean up the water damage as soon as possible, in order to prevent mold growth. We’ve been in the mold remediation business for over 22 years, and are an IICRC-certified contractor. We specialized in mold identification, water removal, mold eradication, and water damage among other areas. Mold damage can be deadly if it’s not handled immediately. Downriver Cleanup & Restoration wastes no time – we come to your home or business within 30 minutes to assess your property. Our reputable professionals will completely remove all signs of water, including mold growth, removal and cleanup. Next, we will dry every inch of any affected areas, and then sanitize everything so it will be 100% clean and mold-free. If you live in any Downriver city such as Brownstown, Gibraltar, Ecorse, River Rouge, Taylor, Grosse Ile, Southgate, Allen Park, and Riverview, for example, you are in our service area. Water damage can result in mold growth which can lead to serious health problems for you and your family members. It can spread quickly, causing bacteria to permeate your home or business. Mold like this can especially affect those with weak lungs, the sick, elderly and very young. That’s why it’s imperative to call Downriver Cleanup & Restoration at 734-619-7610. It’s about taking care of your family and protecting your property. If you don’t deal with water damage quickly, it can easily ruin your walls, floors and carpet. We are also proud to offer carpet and upholstery cleaning services, so you won’t have to throw valuable carpet and furniture away. We can remove all signs of water, mold, smoke, and fire in a flash, and leave everything looking like new. With our free estimates offer in Downriver, Michigan, you can’t lose. You will have all the facts you need to make a sound decision regarding your emergency situation. 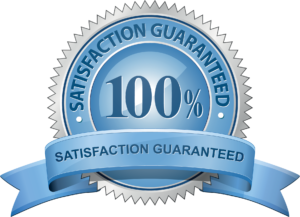 We’ve been voted Downriver, MI’s #1 restoration company every year for the past eight years, and are proud to offer the most exceptional performance you can find. Visit our website at http://downriverrestoration.com to learn more. Also follow us on Twitter and Facebook, we’d love to hear from you!